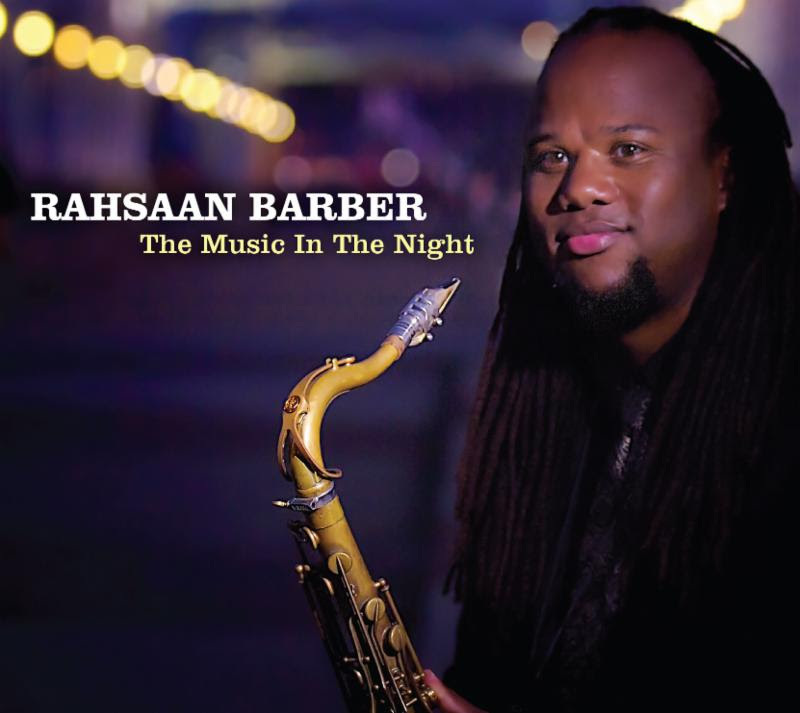 "The Music in the Night,"
Saxophonist, composer, and bandleader Rahsaan Barber's years of activity as a performer, producer, presenter, educator, and most recently DJ in his native Nashville have established him as an integral part of the city's vibrant jazz scene. In fact, Barber named his record label and concert production company Jazz Music City to make the point that there's more to America's "Music City" than the Grand Ole Opry. With the release on November 3 of The Music in the Night, he also reveals there's more to Rahsaan Barber than his reputation as composer of the cutting-edge modern jazz works that were the primary focus of his two previous albums, 2005's Trio Soul and 2011's Everyday Magic. Only glimpsed there were his gentle side and his skills as a gifted interpreter of standards that, in his hands, are transformed in fresh and highly original ways. Barber writes in his liner notes that recording an album of standards was his mother Stella's idea. She told him "how much she missed hearing my approach to standards, and how much she felt my ability to interpret familiar songs sets me apart from my peers." He also followed the advice of his grandmother, the late Zepher Selby, who told him to "play pretty" and "make sure you put a blues in every set." Every track on The Music in the Night is notable, ranging from the swinging opener "Isn't She Lovely" to the gorgeous treatment of the Michael Jackson hit "She's Out of My Life"; from a reggae-tinged rendition of Rodgers and Hart's "My Funny Valentine" to the Ray Charles classic "Georgia on My Mind" treated as a slow blues with a backbeat. Then there are versions of Hoagy Carmichael and Johnny Mercer's "Skylark," the lyrics of which inspired the album title, and Antonio Carlos Jobim's "The Girl from Ipanema." While it never achieved the popularity to qualify as a standard, "The Backbone" (composed by bassist Butch Warren for a 1964 Dexter Gordon album) is a tour de force showcasing the chops of Barber's rhythm section: pianist Matt Endahl, drummer Derrek Phillips, and 20-year-old bassist Jack Aylor. Family played a huge role in Rahsaan Barber's musical development. Stella and Robert Barber Sr. named their twin sons, Rahsaan and Roland, born in Nashville on April 2, 1980, after the late multi-reed master Rahsaan Roland Kirk. The twins grew up listening to hymns at Nashville's St. Luke CME Church, which their great-great uncles and aunts had helped to found in 1915 and where their grandmother later served as pianist and choir director. At home, they heard records by Luther Vandross, Stephanie Mills, and other soul singers favored by their mother, a singer herself. Their father, a blues fan originally from Memphis, began taking saxophonist Rahsaan and trombonist Roland to sit in at blues clubs when they were as young as 14. And his grandmother introduced Rahsaan to the music of such early tenor saxophone giants as Coleman Hawkins, Ben Webster, and Don Byas. After graduating high school, the brothers enrolled at Indiana University (IU) and studied with onetime George Russell trombonist David Baker, who, Rahsaan says, "redefined what jazz education could look like and sound like. He was a trailblazer culturally." Barber also credits Tom Walsh, his saxophone teacher at IU, "with the grand majority of what I can do with the saxophone. He was a godsend-the right person at the right time at the right place." The twins spent five years at IU, both receiving bachelor's degrees and Artist Diplomas in jazz and instrumental studies. After recording Twinnovation, their only album together, in 2001, they spent two years at the Manhattan School of Music, earning master's degrees in jazz performance in 2005. Roland today teaches at Vanderbilt University, where his parents had met years earlier. 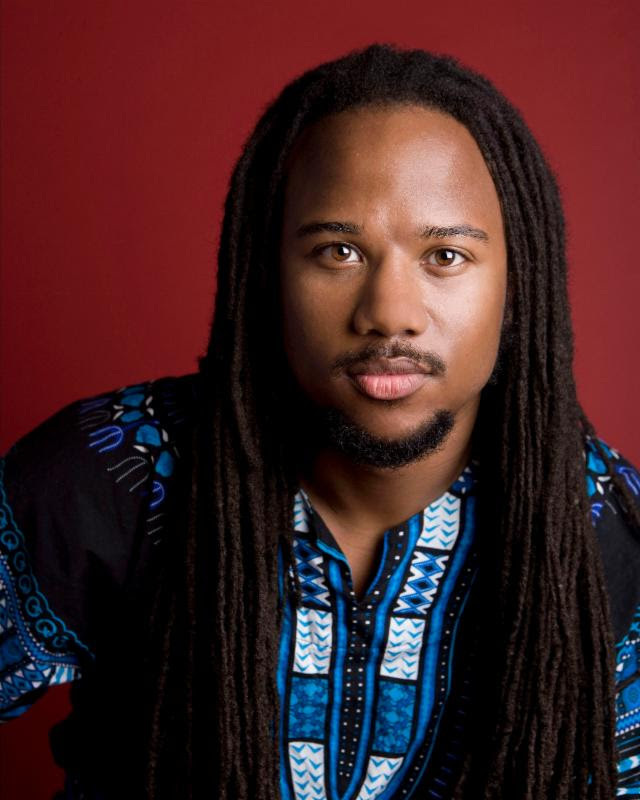 Rahsaan taught at Belmont College for six years and at Tennessee State University for two and a half years before recently retiring from academia. Barber presently performs with several of his own groups: his quartet and quintet, as well as the septet El Movimiento, which blends jazz, Latin, and world music with hip-hop and rock; The Megaphones, which combines New Orleans brass band music and hip-hop; and the 12-piece Nashville Salsa Machine. He has produced CDs by trumpeter Imer Santiago, vocalist Stephanie Ablington, and El Movimiento. His extensive recording and/or performing credits include work with such diverse artists as Big Smo, Kelly Clarkson, Gladys Knight, Delfeayo Marsalis, Kirk Franklin, Hunter Hayes, Kid Rock, Martina McBride, Idina Menzel, Lionel Richie, and Darius Rucker. He serves as vice president of the Tennessee Blues and Jazz Society, where he designs live re-creations of classic jazz and blues albums and hosts the weekly one-hour radio show "Generations of Jazz" Mondays at 7 p.m. on KFSK-FM at Fisk University.